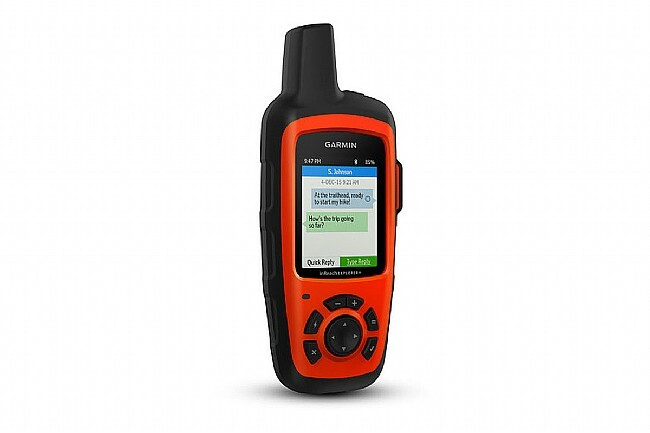 With the Garmin inReach Explorer+, you can keep on exploring well beyond the end of cell service. Whether you're looking to blaze new trails or just get some peace of mind in the great outdoors, give your friends and family the reassurance they need to know you're okay. 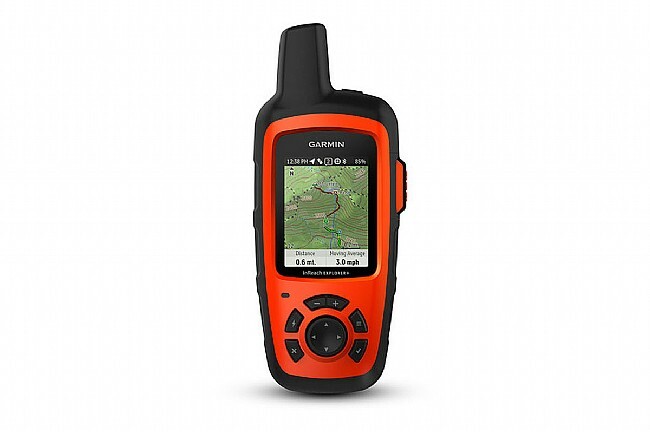 Offering the mapping and routing you've come to expect from Garmin, the inReach allows you to always keep friends within arms-length thanks to the global communication features. The Garmin inReach Explorer+ comes preloaded with DeLorme topographic maps, allowing you to go well off the beaten path or trail in search of unseen sights. The bright backlit color screen provides enhanced detail for trail use, displaying contours, park information and more. Pair the inReach Explorer+ with a compatible Android or iOS device using the Earthmate app to access NOAA charts, aerial images, TOPO mapping and more. Always be prepared with the advanced mapping and navigation no matter where you are. 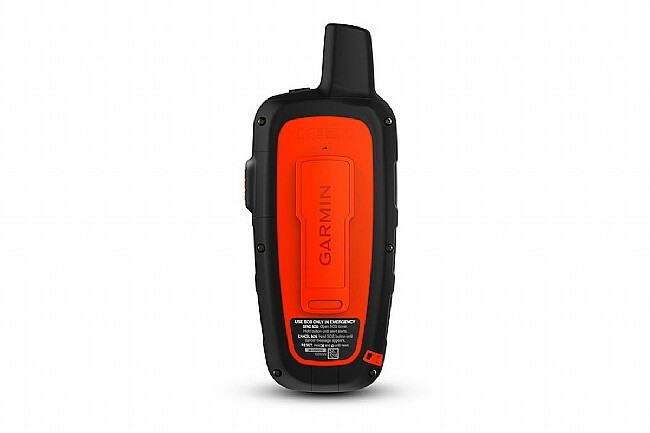 If things go south, the Garmin inReach Explorer+ has an interactive SOS system that allows you to send and receive text messages to emergency contacts anywhere in the world, even when there is no cell reception. 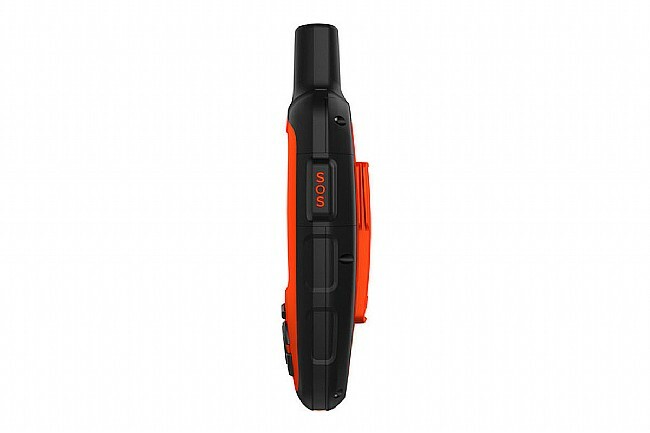 The compact, water-resistant housing keeps the Garmin inReach Explorer+ protected from the elements during any outdoor adventure. A rechargeable lithium battery lasts up to 100 hours while in tracking mode or 30 days while in power save mode. Each Garmin inReach Explorer+ includes: Garmin inReach Explorer+ with Delorme Topo Maps, USB Cable, Carabiner Clip, Documentation and a One-year Warranty.